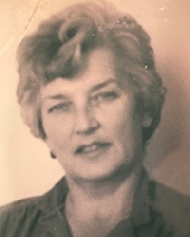 Jacqueline Raye Pederson obituary. Carnes Funeral Home. Sep 27, 2017 Jackie was a talented lady. Reading these testimonies evidenced the positive impact she had on many through her dedication to education and students. I also remember what a gifted artist she was. As you miss her, may God carry you gently through your loss. Jacqueline Raye Pederson nee McKnight, a long time resident of Los Fresnos, TX passed away in her home on Sunday, September 10th, 2017. Originally from Nebraska, Jackie began her teaching career at the Pine Ridge Indian Reservation. When the family moved to Chicago, she taught for many years at Proviso East High School. Most recently she was a beloved educator in the Rio Grande Valley, where she taught for more than 30 years. She also taught at the college level throughout her career. Jackie is survived by her 10 children: Earling, Arne, Kristen, Deb, Rob, Jerry, Halle, Mia, Christ, Leis and their families. She had 41 grand and great grandchildren with one on the way. Memorial funds can be sent to the South Texas Academy for Medical Professions at 10650 N. Expy 77/83 Olmito, TX 78575.